The Winter Meetings have now come to an end and were just about half way through the MLB Offseason. With that in mind, I feel now’s a good opportunity for me to examine what has occurred the past few weeks and see who has/has not improved their roster this offseason. Boston Red Sox: The previous two seasons has seen the Red Sox lose a 9 Game September lead, change General Managers, hire a Manager that had numerous problems with his players, trade 3 of the teams highest paid players, and then fire Bobby Valentine. With all those problems the past 2 seasons, the Red Sox decided to start over and go back to the old Red Sox formula which helped them win 2 World Series Titles in a 4 years span. The start of the offseason saw the Red Sox bring a familiar face back in former Red Sox pitching coach (and 2009-2011 Manager of the Toronto Blue Jays) John Farrell. With Farrell on board, the Red Sox decided to sign a number of quality “Clubhouse Players” and instead of spending 20 million per year on one player they signed 3 quality players for the same price in David Ross, Mike Napoli, and Shane Victorino. A number of people might criticize the Red Sox for some of the contracts they handed out but they needed to change their Locker Room and one of these players in particular (Mike Napoli) will put up great stats next season. Napoli has fantastic career stats at Fenway Park (.306 Average, 7 HR, and 17 RBI in 19 games) and with him not being an everyday catcher anyone (Boston already features David Ross, Ryan Lavarnway, and Jarred Saltalamacchia), I feel Napoli will get back to his 2011 Season. 1. With three catchers already under contract, when will Boston trade Jarred Saltalamacchia? 2. Will the Red Sox trade Jacoby Ellsbury? Texas Rangers: The Rangers haven’t made any significant moves during the 2012 offseason, so why are they listed under the winners for the offseason? I decided to list Texas under the winners category because they’ve been mentioned in all the key players (Trade and Free Agency) this offseason. The biggest question surrounding the Rangers this offseason has been with 2010 MVP Josh Hamilton whose a Free Agent for the first time in his career. At 31, Hamilton is still an elite hitter but has had to deal with a number of injuries which have forced him to miss a number of game in his career (Hamilton has only played in 135 games only twice in his MLB career). So why have they done such a good job with handling the Hamilton situation? Because Texas allowed for other teams to set the market for him and see what his value was in Free Agency. As that was going on, the Rangers decided to look at Free Agents Zack Greinke and Michael Bourn along with DBacks Outfielder Justin Upton and Rays Pitcher James Shields. With Greinke signing with the Dodgers (and hurting their biggest rival) and Shields being traded to Kansas City, look for the Rangers to now turn their attention to Upton, Anibal Sanchez, R.A. Dickey, and of course Josh Hamilton. With the Rangers linked to all these teams, this shows that the team that holds all the cards are the Texas Rangers. The Rangers can resign Hamilton or trade one of their young prospects for a veteran hitter/pitcher. With the money the Rangers will save from the Michael Young trade, look for them to make a significant signing or trade this offseason. San Francisco Giants: Following San Francisco’s first World Series since the Franchise moved to the Bay Area, the Giants decided to bring back a number of players from their former roster that won the World Series. Unfortunately for the Giants, 2010 Rookie of the Year Buster Posey went down with a season ending injury but had Posey not gone down with the injury in April 2011, the Giants might have found themselves back in the playoffs the next season. With that said, the Giants didn’t make the 2011 Playoffs, brought in a number of new faces via trades and free agency (Angel Pagan, Melky Cabrera Hunter Pence and Marco Scutaro) which helped the Giants return to the top of the baseball world in 2012. Following their Championship Parade, the Giants decided to resign all of their key free agents (Jeremy Affeldt, Pagan, and Scutaro) and go with almost the exact same roster that helped them win the 2012 World Series. With that said, a number of people have been surprised the Giants decided to go in another direction with Brian Wilson as they decided to Non-Tender his contract making him a Free Agent. 1. With the Money they saved from not having Wilson on their roster anymore, there now able to sign their key Free Agents this offseason. 2. Romo has the potential of becoming one of the best closers in baseball. Los Angeles Angels: The winners of last years offseason might be the losers to this years offseason. The Angels decided to revamp their team by letting Torii Hunter, Dan Haren, and Zack Greinke leave via free agency in addition to trading Ervin Santana away to the Royals. 1. The Angels traded 2010 All-Star Jordan Walden to the Atlanta Braves for Tommy Hanson who had an up and down career in Atlanta that ended with him going 12-5 with a 4.29 ERA during the 2012 season. 2. Following that, the Angels signed Joe Blanton (for the backend of their rotation) and Sean Burnett (to add the lefty reliever they needed) each to a 2 year deal. These three moves showed that the Angels were preparing to move on from Greinke and go in another direction. With Greinke, Haren, and Santana out of their rotation, I feel the Angels took a step back this offseason and still need another quality pitcher if they want to compete with the A’s and Rangers in the American League West. If this is the Angels 2012 pitching staff (both starting and relief), then I feel the Rangers are the clear cut favorites in the AL West. Seattle Mariners: The Mariners have a solid pitching rotation highlighted by Felix Hernandez and also includes Jason Vargas, Hisashi Iwakuma, Erasmo Ramirez, in addition to top pitching prospects Taijuan Walker and Danny Hultzen. This shows that the Mariners have a number of quality pitchers, however, if they want to be a contender they need to address their lineup. Currently, the best players in the Mariners lineup are Jesus Montero, Dustin Ackley, and Kyle Seager which shows that their’s not much power in their lineup. With that in mind, I feel the Mariners should look to add two names: Josh Hamilton and Billy Butler. If the Mariners are able to add these two bats to their lineup, then the Mariners would become a legitimate contender in the American League West. New York Mets:Mets fans were dreaming of a Wil Myers for R.A. Dickey trade but instead the Royals decided to trade their top prospect to Tampa for James Shields. With Greinke and Shields off the board, the Mets now need to look to trade with the Angels, Rangers, or Tigers and see what they would give up for 2012 CY-Young Award Winner. The Mets already have a solid rotation filled with a combination of veterans (Johan Santana and Jon Niese) and youngsters (Dillion Gee, Matt Harvey, and Zack Wheeler) and because of that the Mets are fortunate enough to have the space to trade Dickey so they can add power bat to their lineup. A few of the prospects the Mets should look to trade for include Mike Olt, Elvis Andrus, C.J. Cron, or another power hitting/middle of the infield player to their roster. If the Mets are able to do this, then the Mets would show a solid core of talent in both their lineup and rotation. 1. Zach Greinke: (Los Angeles Angles): With Zack Greinke being the only elite level pitcher on the Free Agent Market, there’s no question that he will be the most sought after free agent this winter. The 2009 Cy-Young Award winner will have numerous teams interested in signing him during the offseason and that list will start with Greinke’s 2012 Team: the Los Angeles Angeles. With Bobby Abreu, Dan Haren, Torii Hunter, and Ervin Santana off their payroll, I feel the Angels will have the necessary money they need to resign Zack Greinke to the biggest Pitcher contract this offseason. The other teams that would be interested in signing Zack Greinke this offseason are the Texas Rangers and St. Louis Cardinals. 2. Josh Hamilton: (Washington Nationals): The Nationals already feature a sold core of hitters (Ian Desmond, Bryce Harper, Michael Morse, Jayson Werth, and Ryan Zimmerman) but have been looking for an additional left-handed impact bat to add to their lineup so they can be that much more deeper from both sides of the plate. If the Nationals were able to sign Hamilton, then they could move Morse from the outfield to First Base and feature one of the best offensive and defensive outfields in Hamilton, Harper, and Werth. In addition to the Nationals, I feel the Baltimore Orioles and Hamilton’s current team, the Texas Rangers, would still be interested in bringing him back to Texas. the offseason. Other teams that will look to sign Michael Bourn are his former team, Atlanta Braves along with the Washington Nationals if there unable to sign Josh Hamilton. 4. AJ Pierzynski: (Texas Rangers): At 35 (and soon to be 36 years old) the 2-Time All-Star Catcher had his best statistical season of his career winning his first silver slugger award and still looked to be at the top of his game. With that said, as much as Pierzynski has ment to the White Sox organization, it seems like the White Sox have decided to go younger and start last year backup catcher Tyler Flowers. Flowers proved last season that he can do a solid job at calling a game in addition to having a great deal of power from the catcher position. I feel the Rangers will sign Pierzynski who has proven to be a much more durable catcher behind the plate than 2011 Ranger Mike Napoli (Napoli has never caught 760 innings in a season while Pierzynski has caught 1,000 Plus innings 11 times in his career). The other teams that also might look to sign Pierzynski this offseason are the Chicago White Sox, Tampa Bay Rays, and Los Angeles Dodgers. In addition to the Free Agency Process, there’s 5 other significant players that I feel will be mentioned in a number of trade rumors this offseason. Alex Rodriguez: (New York Yankees): The Yankees expensive 3rd Baseman had another injury plagued season and showed that he’s still having some durability issues as A-Rod hasn’t played in 140 games in season since the 2007 season and in three of those season he played in under 125 games. Even with all his injuries and problems throughout the MLB Playoffs, I still feel A-Rod will be a Yankee when the 2013 season starts. On the other hand, will the Yankees at-least test the Trade Market… absolutely. So which teams will the Yankees talk with A-Rod about: before the Blockbuster Trade on Tuesday I would have said the Miami Marlins, but now I feel there’s only two teams that would consider trading for the former 3-Time AL MVP Winner: Chicago White Sox (however, with Rick Hahn now the GM, the White Sox might have a new perspective on A-Rod) and drs. In the end, I feel Rodriguez will once again be in Yankee Pinstripes when the 2013 Baseball season begins. Chase Headley: (San Diego Padres): The Padres have a ton of solid prospects in their organization and with the Giants, Dodgers, and Diamondbacks in their division, I’m not sure there ready to win now so I feel they should look to trade their best asset; Chase Headley. Headley had by far his best season, Hitting .286, to go along with 31 Home Runs and an NL High 115 RBI’s while playing in arguably the toughest hitting ballpark in all of baseball and because of this he’s a finalist for the 2012 NL MVP Award. In addition to having such a great season, Headley is just hitting his prime (28 years old) and has 3 more Arbitration Eligible Seasons left on his contract. Because of his age, contract status, the chances of him replicating this season and the state of this franchise, I feel the Padres should look to trade Chase Headley this offseason. Some of the places that have enough assets to acquire Headley and look to trade for him are the Tampa Bay Rays, Texas Rangers, and the Oakland Athletics. In the end, I feel the Padres will ask for too much and not trade the 28 year old 3rd Baseman whose also proven he can play First Base and Left Field. Gavin Floyd: (Milwaukee Brewers) With White Sox 2012 Third Baseman Kevin Youkilis most likely departing from the South Side of Chicago this offseason, its very clear that the Chicago White Sox have a significant void to fill at the hot corner that they’ll look fill via a Trade (the Free-Agent Market is quite thin). With that said, a number of teams are looking for veteran pitchers that haven’t had any significant injuries in the past. Fortunately, Floyd fits the criteria as he’s thrown over 180 innings for of the past 5 seasons showing that he can take the ball at any time. Because of this, I feel the White Sox will either trade Floyd straight up for a 3rd Baseman or trade Floyd for a number of prospects that they can then flip the prospects for a third baseman. I feel the White Sox number one option would be moving Floyd and a few other prospects for either top prospects Anthony Rendon (Washington Nationals) or Mike Olt (Texas Rangers). So why would Texas or Washington be in such a hurry to trade one of their top prospects? Because both teams have a log jam at third base in Ryan Zimmerman (Nationals) and Adrian Beltre (Ranges). Zimmerman, (who agreed to a new contract last offseason), and Beltre, (who hit .321 to along with 36 Homers and 102 RBI and has 4 more years left on his contract) might feel they don’t need one of these elite level prospects and instead might look to acquire a quality veteran pitcher. Both teams have the two different options for these two players: either move one of the top prospects in baseball so they can fill other holes on their roster or have them change positions because nethor will be playing 3rd Base in the near future. In the end, do I foresee the White Sox acquiring one of these two young 3rd Base prospects…no and because of this I feel they will trade Floyd to the Milwaukee Brewers for a number of prospects to help improve their farm system. With that in mind, I also feel the Colorado Rockies, Los Angeles Dodgers, St. Louis Cardinals, and Texas Rangers will also make a run at Floyd. Matt Garza: (Chicago Cubs): The Cubs 28 year old right hander had an up and 2012 season that unfortunately ended with him on the DL from July 21st until the completion of the Season. With Garza being in the prime of his career, a proven winner, and having no significant injuries in the past, its a forgone conclusion that a number of teams will look to trade for Garza this offseason. So what teams will look to trade for Garza? I feel the list for Garza will include the Baltimore Orioles, AL Champion Detroit Tigers, Kansas City Royals (who feature a great Bullpen and Offense but need to upgrade their starting rotation), New York Yankees, and Texas Rangers. In the end, I think Garza will start the season with the Cubs so they can show he’s recovered from his triceps injury and then decide wither or not to trade him depending on where the Cubs are in the standings around the July 31st Trade Deadline. MLB: The AL Central featured the best starting pitching over the past 8 years…but what about now? Can you name the only division that’s had 6 of the past 8 AL Cy Young Award Winners? If you guessed the American League Central you’d be right. A large number of people feel the American League Central is a below average division shown by the number of Pennant (2005 Chicago White Sox and 2006 Detroit Tigers) and World Series winners (2005 Chicago White Sox) during those 8 years. Even though only 2 of the 5 teams from this division reached the World Series, it still doesn’t take away from the quality of arms that were thrown out during this 8 year span. So for all those wondering, the 5 different pitchers (6 overall as one player won the award twice), who won this award from the AL Central were Johan Santana (2004, 2006), CC Sabathia (2007), Cliff Lee (2008), Zack Greinke (2009), and Justin Verlander (2011). An even more astonishing stat then that four of the five teams (Chicago White Sox) had at-least one player win a Cy Young Award during this amazing stretch. In addition to that, only 1 of the 5 players is still on the team they won their Cy Young Award with: 2011 winner Justin Verlander. The teams from the American and National East might of receive the most attention over the past decade, but it was the AL Central that routinely threw out the best pitchers each day. That was the past, what about now? Which division has the best starting pitching in baseball? Below is a breakdown each division’s starting staff’s from worst to best. 6. NL Central: Over the past decade, the National League has seen a number of quality arms come through this division (Mark Prior, Kerry Wood, Carlos Zambrano, Roy Oswalt, Rodger Clemens, Andy Pettitte, Zach Greinke) but all of them have one thing in common: there no longer in the NL Central. So who are a few of the top starting pitchers as of now: Johnny Cueto, Mat Latos, Adam Wainwright (2010 All-Star), Kyle Lohse, Jeff Samardzija, Matt Garza, A.J. Burnett, and Yovani Gallardo (2010 All-Star). All of the pitchers mentioned in the previous sentence are quality starting pitchers but not elite as shown in the 2 combined All-Star Game appearances. 5. AL Central: What used to be the division with the best starting pitching in baseball has since turned into a division with a few quality starters. Even with Santana, Sabathia, Lee, and Greinke leaving this division, the AL Central is still led by three excellent arms in Justin Verlander (2011 AL Cy Young Award winner), Jake Peavy (2007 NL Cy Young Award Winner), and Chris Sale (2012 All-Star). In addition to those three individuals, the AL Central also has Max Scherzer, Doug Fister, Justin Masterson, and Scott Diamond. This list doesn’t come close to the quality of arms that the AL Central had in the past but it’s not that a bad list of starters. 4. AL East: I know the majority of people believe that because the Red Sox and Yankees it should equate to making the AL East the best at everything, but if you look at the starting pitchers in the other division’s, its easy to realize the AL East doesn’t have nearly the quality of starters that make up the other three divisions. The two elite pitchers in the AL East are CC Sabathia (2007 Cy Young Award Winner) and David Price (3 time All-Star). However, the reason this division is ranked fourth (and not 5th or 6th) is due to the depth of quality starters in this division which includes Hiroki Kuroda, Ivan Nova, Jeremy Hellickson (2011 AL Rookie of the Year), James Shields (2011 All-Star), Matt Moore, Wei-Yin Chen, Clay Buchholz (2010 time All-Star), Josh Beckett (3 time All-Star), Ricky Romero (2011 All-Star), and Brandon Morrow. There’s bunch of solid pitchers in the AL East but not enough Ace’s to put make this one of the top three divisions for best starting pitching in baseball. 3. NL West: I went back and forth when deciding the three best starting pitching divisions in all of baseball but in the end I decided to put the NL West third on my list. At the beginning of my article, I mentioned that 6 of the past 8 Cy Young Award winners came from the AL Central which was most within that timeframe. However, during those same 8 years, the NL West saw 5 of 8 and 10 of the past 13 NL Cy-Young winners come from this division. As impressive as that is, like the AL Central, the majority of the previous winners have moved on from their this division as Tim Lincecum (2008 and 2009) and Clayton Kershaw (2011) are the lone Cy-Young winners who are still on a NL West Team. In addition to those two pitchers, the NL West also has one of (if not the most) underrated pitchers in all of baseball in Matt Cain who threw a perfect game this year in addition to not allowing an earned run during the 2010 MLB Playoffs as he helped lead the Giants to their first World Series Championship in over 50 years. Aside from those three pitchers, the National League West also includes Ryan Vogelsong (2011 All-Star), Madison Bumgarner, Chad Billingsley (2009 All-Star), Wade Miley (2012 All-Star), Trevor Cahill (2010 All-Star), and Ian Kennedy. This division currently has the third best starting pitching in all of baseball but in about 2 years, I believe the NL West will feature the best starting pitching in baseball. 2. NL East: The NL East is a division that’s made up of both younger and older elite starters. The NL East has 3 former Cy Young Award winners: Roy Halladay (2003 and 2010), Johan Santana (2004 and 2006), and Cliff Lee (2010) along with a number of other Ace’s. Included in the next line of starting pitchers from the NL East areStephen Strasburg (2012 All-Star), Gio Gonzalez (2 time All-Star), Jordan Zimmerman, Tim Hudson (3 time All-Star), Tommy Hanson, R.A. Dickey (All-Star 2012), Cole Hamels (3 time All-Star), Mark Buehrle (4 time All-Star), and Josh Johnson (2 time All-Star). Its pretty remarkable to see the amount of All-Stars that are apart of this division as over the past few seasons this has transformed into one of the best divisions for starting pitching in all of baseball. 1. AL West: As impressive as the starters in the NL East are, I still feel the division that features the best starers in all of baseball is the American League West. As of now, the AL West has 2 former Cy Young Award winners in Zack Greinke (2009) and Felix Hernandez (2010) along with the frontrunner for the 2012 AL Cy Young Award in Jarred Weaver who threw a no hitter earlier this season. Along with those three hitters, the American League West (which unlike the other divisions has only 4 teams until next year) also includes Yu Darvish (2012 All-Star), Ryan Dempster (2 time All-Star), Matt Harrison (2012 All-Star), Brandon McCarthy, C.J. Wilson (2 time All-Star), Dan Haren (3 time All-Star), and Jason Vargas. In addition to the names listed above, the AL West has a number of young and exciting arms in the minors that will be household name within the next few years in Tommy Milone, Brad Peacock, Jarrod Parker, Danny Hultzen, and Taijuan Walker. With the majority of these starters still in their prime, I feel the AL West will continue to be known as one of the best divisions in baseball. 1. Detroit Tigers: The Tigers have a great offense, the best pitcher in baseball, to go along with a number of solid Number 3-5 starters. So with that said, I feel the Tigers need 3 things at the trade deadline: 1. A number 2 starting pitcher; 2. a second baseman; and 3. Bullpen help. In the last 14 games, the Tigers are 15-2 and look like the team we thought they were going to be. With that said, I feel there’s a number of teams that make sense for the Tigers to trade with which include: Cubs, Brewers, or shock the baseball world and trade with the Mariners for one of the best pitchers in baseball. Before I discuss the possible Mariners trade, lets start with the Cubs, who have a number of parts that can help the Tigers out which include Darrin Barney and Matt Garza . Garza and Barney would solidify two of the biggest holes on their roster and at the same time the Chicago would be able to receive a few young pitchers. The Tigers have a number of quality arms on both their major league roster and in the minors. On their major league roster, the Tigers feature former first round draft picks in Max Scherzer and Rick Porcello while also having a number of quality arms in the minors in righties Jacob Turner and lefty Andy Oliver. It seems like the Tigers and Cubs could be a good match to make a trade before the Trade Deadline. So what about the Milwaukee Brewers? Like the Cubs, Milwaukee features a very good starting pitcher that would give Detroit one of the best top of the rotations in baseball in soon to be free agent Zack Greinke. Like the Cubs, the Brewers would be looking to get a package that includes a lot of young pitching talent. In addition to that, the Brewers could also look to trade second baseman Rickie Weeks in a trade and give the Tigers the second baseman they’ve been looking for while also allowing the Brewers to shed payroll at the same-time. So what about a huge blockbuster trade that would give the Tigers two of the top 5 pitchers in all of baseball (and the reigning Cy Young Award winners) in Felix Hernandez (2010) and Verlander (2011). If this trade were to happen, 4 things would have to occur: 1. The Mariners would want to acquire a lot of young pitching talent; 2. Seattle would also be looking for young hitting talent as they need to add hitting depth to their lineup; 3. The M’s would want the Tigers to take back a bad long term contract that there currently holding onto; and 4. The Tigers would need to sign Felix to a Long-Term deal. As mentioned above, the Tigers have a number of quality arms in their system along with a few hitting prospects in Nick Castellanos and Quintin Berry. So here’s a trade proposal that would work for both teams: Tigers trade Jacob Turner, Nick Castellanos, Andy Oliver and Quintin Berry for Felix Hernandez and Chone Figgins. If this trade were to occur, then the Tigers would feature both the best 1-2 hitting and pitching combinations in baseball. 2. Los Angeles Dodgers: The Dodgers have two of the best outfielders in baseball in Matt Kemp and Andre Ethier to go along with a pitching staff that includes 2011 NL Cy Young Award winner Clayton Kershaw, Chad Billinglsey, and Chris Capuano, With that said, I feel the Dodgers need to look to add a few more bats along with a good number 2 starting pitcher if the want to hold off the Giants and win the NL West. The starting pitcher that I feel they need to look into acquiring is Ryan Dempster as Kershaw and Dempster would make for one of the best righty-lefties 1-2 combinations in the league. In this trade, the Cubs could look to acquire a number of different prospects which include Zach Lee, Allen Webster, and Chris Reed. In addition to trading for an additional pitcher, I feel Los Angeles need to look into acquiring more power to their lineup. An intriguing names for the Dodgers to look into acquiring would be Minnesota Twins First Baseman Justin Morneau as he would provide them a legitimate left-handed power-bat in the middle of their lineup while not having to trade a lot to get him. The Dodgers thought they had their future 1st Baseman in James Loney but unfortunately he hasn’t developed the power they thought they would from him. If both James Loney and Justin Morneau were to trade places, then each player would be able to receive a fresh start so they could start over in their new respective situations. 3. 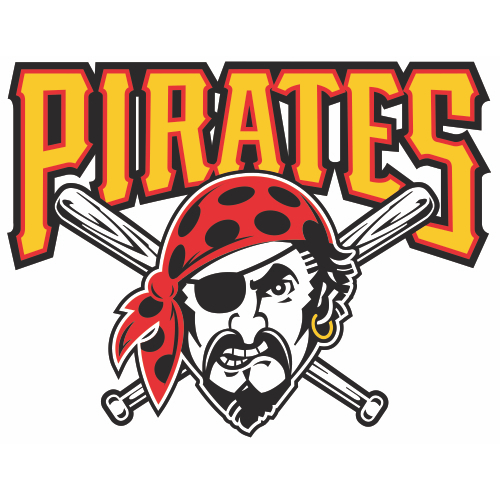 Pittsburgh Pirates: The Pittsburgh Pirates are .5 Game out of first place and have a ton of great minor league pitching depth on the way within the next few years in Gerrit Cole, Jameson Taillon, and others. The Pirates currently have the 6th best team ERA’s in baseball, however, as good as their pitching has been, (outside of MVP Candidate Andrew McCutchen), the rest of the Pirates offense has been less than impressive as their team’s batting average is .247 on the season. Because of this, I feel the Pirates should look into trading for soon to be 25 year old outfielder Justin Upton who last year finished in the top 5 (4th in fact) for the NL MVP and would give Pittsburgh one of the youngest and most talented outfields in all of baseball. The Diamondbacks would most likely ask for either Cole or Taillon in return, however, if the Pirates were able to keep both Cole and Taillon while still being able to acquire Upton, then Pittsburgh would feature one of the best young cores in all of baseball. Upton has had a tough 2012 season, yet I still think with him being so young that he can still find the old Justin Upton.